Following the launch of the first three home radio stations in November 1967 - Leicester, Sheffield and Merseyside - the rollout of the experimental BBC local radio stations resumed on 31 January 1968 in Nottingham. The BBC previously had a presence in the city in the early 1920s when relay station 5NG based in Bridlesmith Gate had contributed a small number of programmes to supplement the service from 2LO. The post-war Home Service also had an East Midlands Representative housed in the Bentinck Buildings in Wheeler Gate, later Wilson House on Derby Road, who was expected to contribute reports and programmes for the Midlands Region. 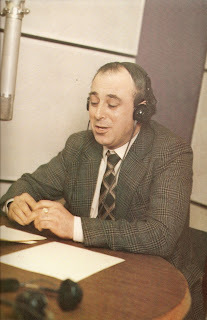 Throughout the 50s and 60s that representative was Gerald Nethercot, and so he was ideally placed to be appointed as the first Station Manager for Radio Nottingham. The new station was housed in studios at the back of York House on Mansfield Road transmitting a VHF only service on 94.8Mhz. Gerald Nethercot had gathered together a dozen staff to run the station and after some test transmission it was formally opened on the evening, at 6.00 pm, rather an odd time for a station launch. Programme organiser Robert McLeish introduced the chimes of Little John from the Council House, Nethercot outlined the plans for the new station and there were short speeches from the Lord Mayor and the Postmaster General Edward Short. That evening's entertainment consisted of Wednesday Club, which was an early fixture in the schedules billed as "of special interest to the blind" and presented by George Miller. This was followed by the documentary, Snot's Estate, a light-hearted look at the history of the city written by Emrys Bryson of the Evening Post and produced by Tony Church. Here's how the Radio Nottingham schedules looked (above) after nearly a year of operation, with the Radio Times listings for the week commencing 11 January 1969. Typically of the early local stations though they broadcast throughout the day, from just before 7.00 am to around 8.00 pm the actual number of hours on air totalled about seven, with various gaps during the day given over to network programmes which, according to the blurb at the top of the page, were taken from Radios 1, 2, 3 and 4. So in between the local programmes you'd have a burst of the JY Prog and The World at One, though I'm not aware they ever switched over to Radio 3. There was no breakfast show as such and the early morning schedule had the look of the old Home Service about it with short programmes billed as Town Crier and Morning Town Ride interspersed with the national news, presumably Radio 4's 10-minute bulletins. No presenters are listed but they will have been drawn from the team of presenter/producers who, when the station launched, were Tony Church, Tony Cook (ex. Anglia TV and not to be confused with the Radio Trent/Centre Radio news presenter namesake), Keith Salmon, Colin Walters and Bob Brookes. With the introduction of the BBC local stations listeners were finally given the public forum to question those in power, often this was their local councillors, and to seek consumer advice. 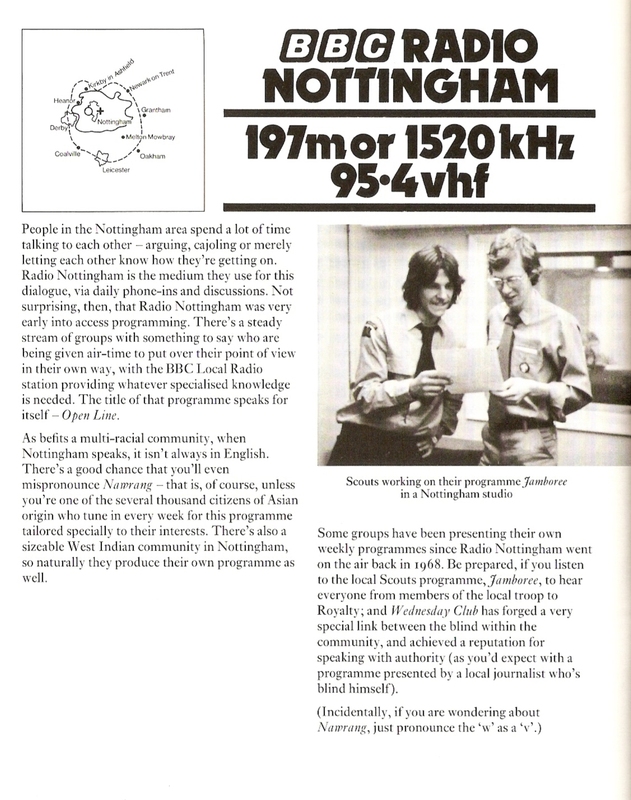 Two such Nottingham programmes were What Are They Up to Now? and You and the Law. 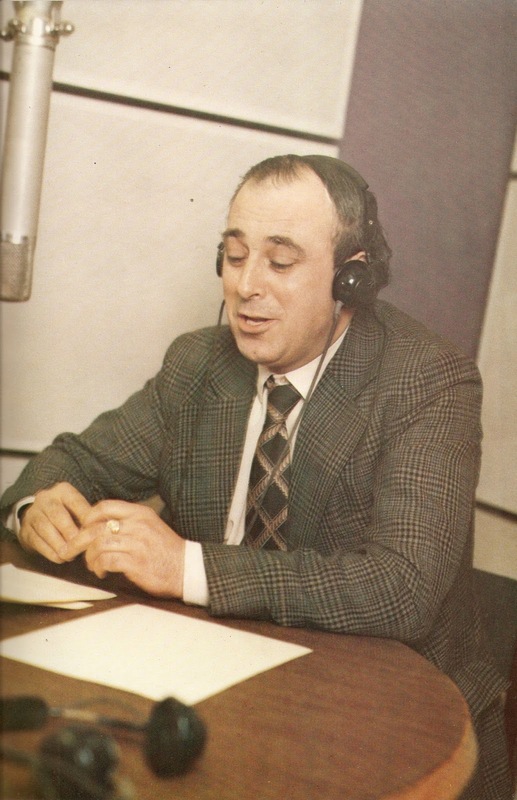 Tony Church presented the first of these programmes and its generally acknowledged that this was the earliest example of a radio phone-in on UK radio. London-born Tony Church had ambitions to work in the film industry and had studied at the National Film School and freelanced in sound and lighting jobs before he was called up for his National Service. Moving to Nottingham in 1950 he worked at the Playhouse for 13 years, leaving following an artistic disagreement with director Tyrone Guthrie. Moving over to the BBC Midlands Region as a producer he joined Radio Nottingham from the start and stayed with the station for 20 years. Tony died in 2006 aged 75. For many years Keith Salmon was the managing editor at BBC Radio Norfolk until his retirement in 1995. He'd joined the BBC in 1961 as a studio manager and in the mid-60s was briefly attached the Radiophonic Workshop (later Radio Nottingham would use Radiophonic-produced themes and jingles including a main logo composed by John Baker). 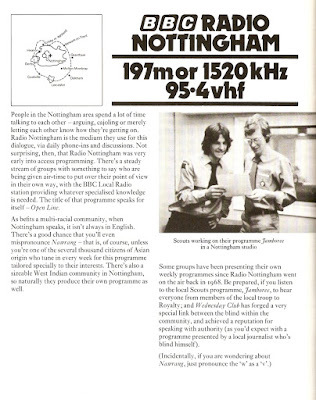 Keith was at Nottingham for a couple of years before moving to Radio Oxford to help launch that station. In 1982 he became the manager at Radio Norfolk. 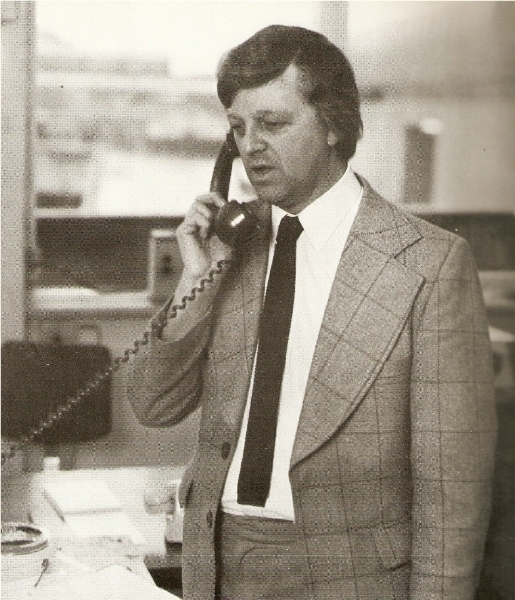 Colin Walters, listed here as presenting Trademark Nottingham and Sports Preview, is best known as the MD at Manchester's Piccadilly Radio from 1974 to 1991. He'd studied at Nottingham University in the early 60s before a brief spell as a news reporter on the Loughborough Monitor and as Deputy Editor at the Fleet Street Letter. At Radio Nottingham Colin progressed from presenter/producer to deputy manager in 1970 and then manager by 1972. With the arrival of commercial radio he successfully applied for the role of programme controller at Piccadilly. After leaving Manchester he was a consultant and advised on several commercial radio bids. Now retired and living in France. top of the transmitter at Colwick. 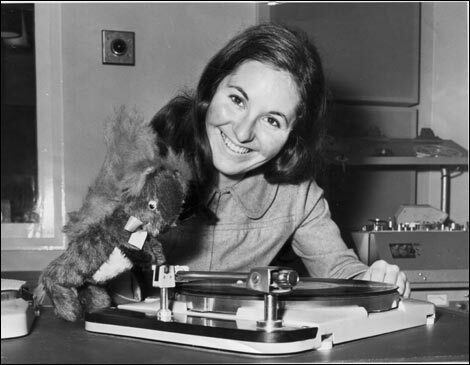 Invented by Tony Church, here he's pictured with Gina Madgett. Presenting Memories are Made of This and All People was programme organiser Robert McLeish. He'd joined the BBC in 1956 working in the Control Room at 200 Oxford Street. He became a studio manager at Bush House, was attached to Bristol and then worked on music shows on the Light Programme. He took a two-year secondment to the Solomon Islands to run the broadcasting service there. Back in the UK he joined Radio Nottingham and then became head of the local radio Training Unit at the Langham. His final job was as Head of Corporate Management Training before he retired in 1989. He is the author of the book Radio Production, now in its sixth edition. At this time the station didn't have its own newsroom and, in common with the other fledging BBC local stations, news bulletins were supplied by local news agency. One of those writing the bulletins was John Hobson (pictured above) over at Bradshaw's News Agency. "Our office was across the city, and the one who drew the short straw had a fifteen-minute walk to the studio carrying the bulletin in a big brown envelope". John had started his journalistic career at Ilkeston Advertiser and then the Ilkeston Pioneer, Wolverhampton Star, Nottingham Evening News and then the Nottingham Post. In 1970 he was asked to form the first BBC local radio station newsroom at Nottingham where he became the news editor. John left the BBC in 1986 to take over the Leicester News Service and later worked as a freelance reporter and media trainer. He died in 2014 aged 76. 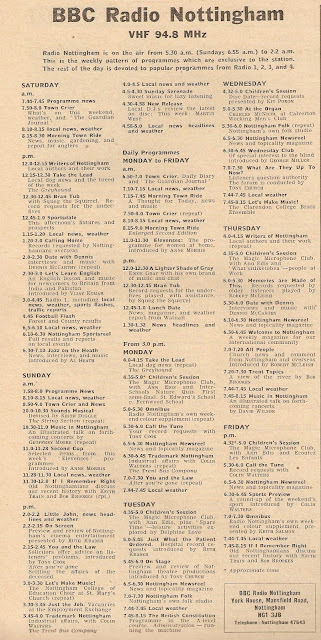 Other names listed in the 1968 schedule include Bob Brookes who'd joined from the Nottingham University's Adult Education Department and would be the main producer in charge of the station's education output and Kit Poxon, previously at Nottingham County Council and who'd later work at Radio Derby. Providing the Saturday afternoon sports reporting, though not listed here, is likely to have been Colin Slater. A local newspaper journalist he'd joined the station in the summer of 1968 and continued as a match commentator until the end of the 2016/17 season. One name I can't overlook is the man would come to define the station during his 28 years at Radio Nottingham. Dennis McCarthy came from an acting family and had ended up in Nottingham when he was evacuated during World War Two. He was a movie collector and a dog breeder of some renown, and it was because of this that he got the chance to make his first broadcast with a report about Crufts within a few days of the station going on air. On the back of his performance he was offered some other freelance report work and eventually some programmes, one of the earliest I can trace is a 15-minute Mapperley Hospital Show. By 1969 he'd got his own show of music and interviews, Date with Dennis which ran for a number of years and he also presented Take the Lead billed as 'local dog news and the breed of the week'. A regular Sunday show followed - in which he managed to rope in his own family, son Owen (aka Digger) and daughter Tara - and by 1974 he'd gained what would be his regular weekday slot, Afternoon Special, which ran until his untimely death in 1996. You can read and hear more about Dennis McCarthy on David Lloyd's Radio Moments blog. The Radio Nottingham team will be celebrating 50 years on air this Wednesday and Trevor Dann has compiled a retrospective of the station's history called On the Street Where You Live Presented by Simon Mayo it was broadcast yesterday and will be availlable to listen again for 29 days.